Scouting for BricksTM is a family oriented LEGO® Fan Event conducted as a fundraiser for Boy Scout Troop 39 out of Purcellville, Virginia. At Scouting for BricksTM 2019 we will have over 20,000 square feet of exhibit space, multiple interactive activities and a dedicated build area where kids can build with over 100,000 LEGO and DUPLO bricks. 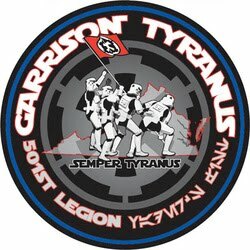 We will once again welcome members of the Washington, D.C. Metropolitan Area LEGO® Train Club (WamaLTC), BioniLUG, 501st Legion, and additional LEGO User Group members from around the area. We hope that you will join us in May 2019 to enjoy Scouting for BricksTM; fun for the whole Family! The Washington, D.C. Metropolitan Area LEGO® Train Club (WamaLTC) is a group of LEGO® enthusiasts who enjoy building and running LEGO® Trains. WamaLTC has had displays at the National Museum of the Marine Corps, the B&O Railroad Museum, and the Vienna Oktoberfest. Mark your calendars and plan to join us on May 4&5, 2019. Please visit our Facebook page for more information about Scouting for Bricks™ 2019. CLICK HERE for pictures from previous Scouting for Bricks™ events ! Scouting for Bricks™ is not affiliated with the LEGO® Group.